The PRO7000FX is the ultimate Professional handheld Bug Detector. The PRO7000FX is the ultimate Professional handheld Bug Detector. 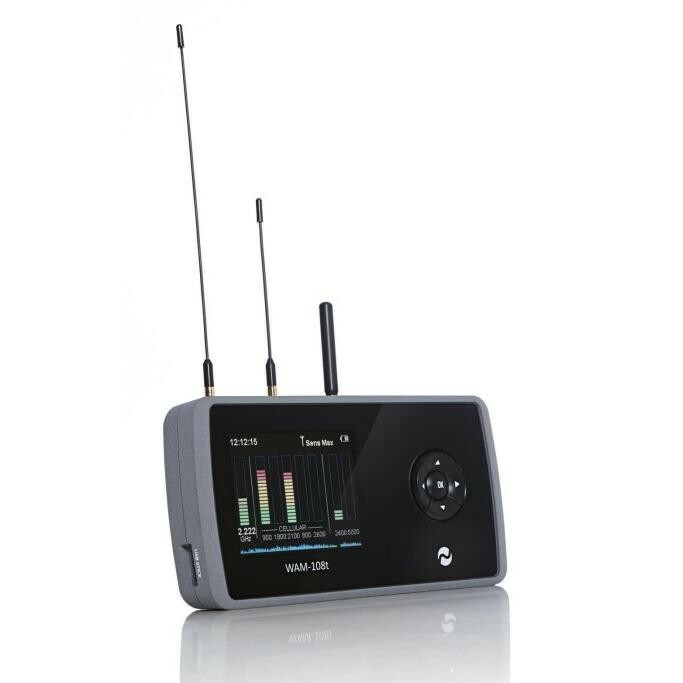 It packs all the necessary features of a professional RF (Radio Frequency) Detector: Ultra Wide Frequency Range (0-7200 MHz), High Sensitivity, 10 Segment Bar-graph display and Audio Confirmation. 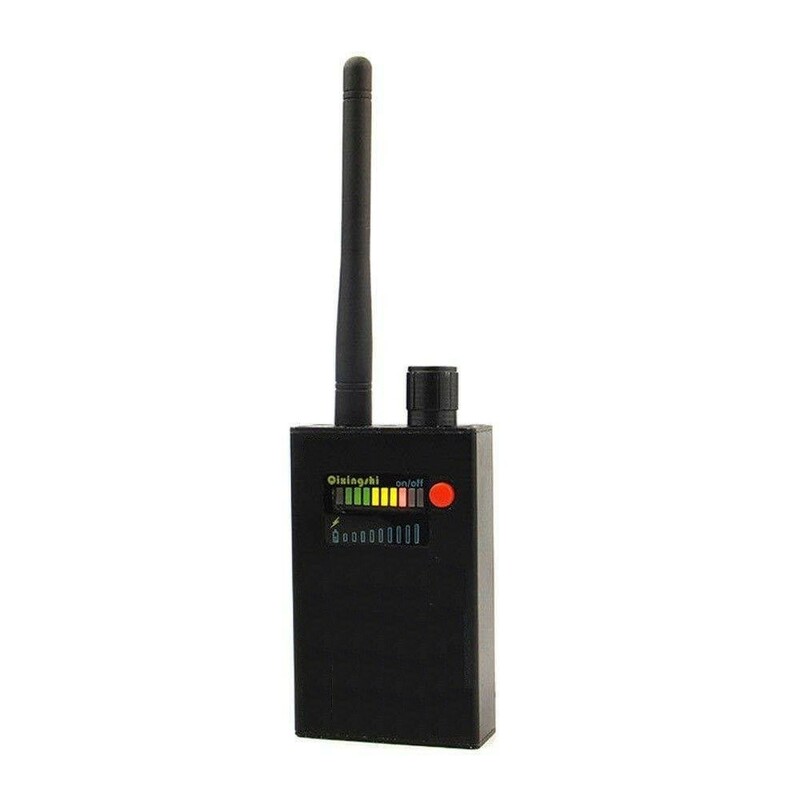 Once a suspect signal is detected its signal strength will be displayed with optional audio beep tone to help you pin point the signal source. The PRO7000FX can also be set to silent vibrate mode for ultra discreet or concealed use, in a jacket pocket for example. With the supplied earphones connected the signal can then be demodulated and heard to confirm the presence of hidden microphones. 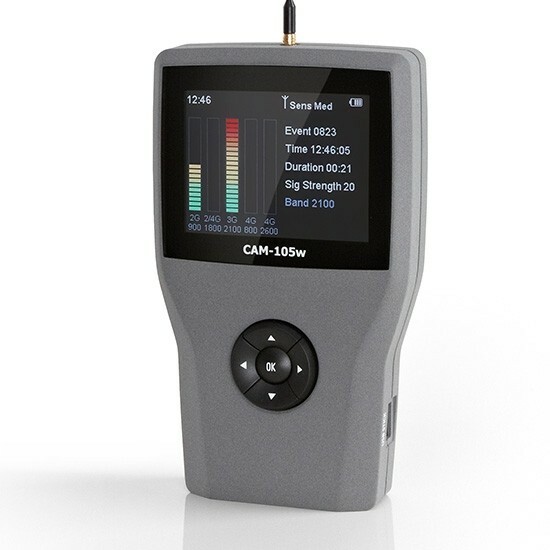 It also features a frequency counter that can display the frequency of a detected signal (0-2560 MHz) to quickly and reliably establish what kind of signal is present whilst performing a counter-measures sweep. Once a signal is located it is then processed by the intelligent software algorithms of the PRO7000FX to determine whether a signal is Analogue or Digital. These features allow fast elimination of innocent signals from a sweep. All this information is displayed on the customised back-lit LCD display which can be clearly viewed in all lighting conditions. The ‘Burst Detect’ feature helps to locate the latest digital devices that only transmit momentarily and can therefore be easily missed using conventional bug detectors. Such devices include GPS Trackers and GSM (Mobile phone) based devices where a ‘Burst’ signal or SMS (Text Messages) are sent momentarily. The PRO7000FX will alert you if a device has transmitted within the vicinity even for just a fraction of a second. The PRO7000FX has an internal Lithium-Ion battery pack and uses an intelligent charger system to ensure the battery remains in top condition for the most demanding situations. The whole unit is contained within a machined aircraft-grade aluminium enclosure for ultimate performance and durability and supplied in a portable carry case for further protection and portability.